I can describe our trip to Paris in three words: romance, cafe’s, and art. 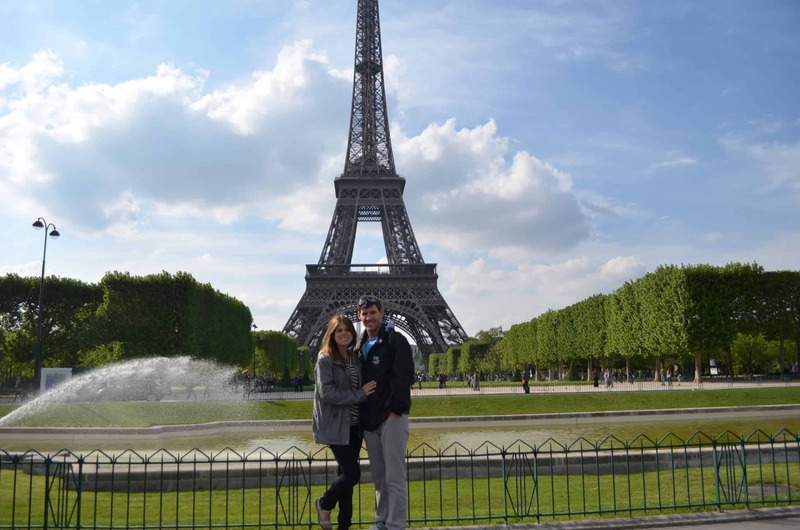 Is it any wonder that of all the cities we visited this past May, Paris ended up at the top of my list? 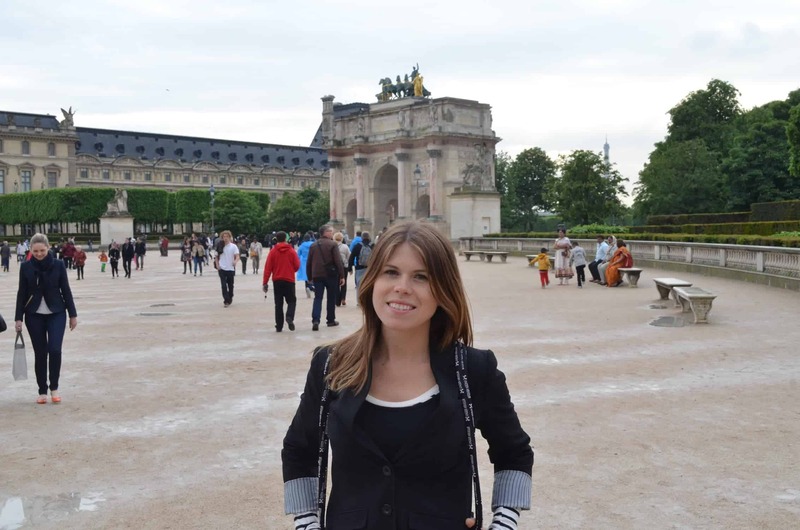 A city renowned for art, food, and wine- I felt like Julia Child! Finally surrounded with people who love to eat (…and occasionally drink) as much as I do. I am currently trying to figure out a way to either move or retire to Paris. Surely in the 30+ years till retirement, this can happen. Until then, I’ve been reminiscing on our time by purchasing an absurd number of parisian knick-knacks, looking at our photos, and of course, recreating most of our meals. It would be impossible for me to rate the meals we had; what was considered “best” one day, was shadowed by the next meal, and so on. This was lunch one day, a cheese-less pizza I haven’t heard of previously. Typically prepared with anchovies, I swapped in olive tapanade and capers to mimic the same salty flavor. While I’ve never had it the traditional way, I think my salty, savory pie is every bit as incredible as the original. Slice it and serve with a salad. Eat outside, preferably with a glass of wine and pretend you are people-watching in Paris. Ah, a girl can dream. 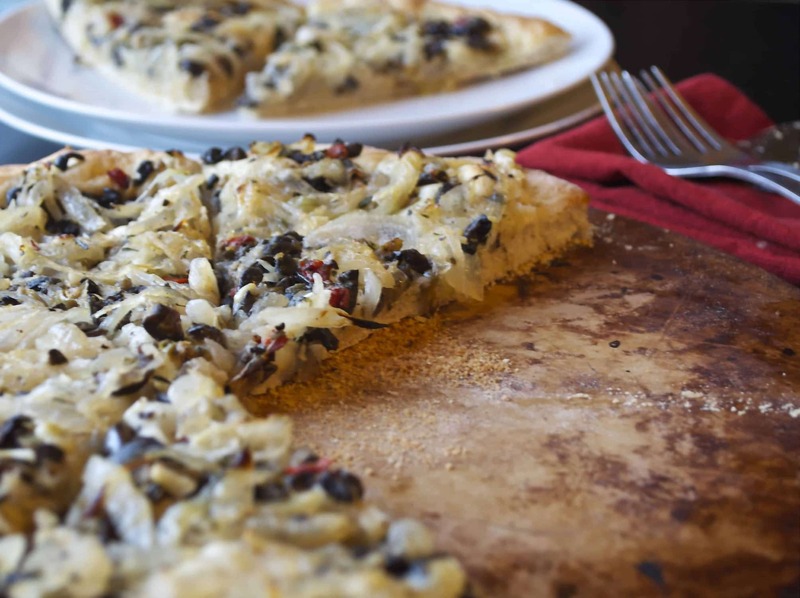 Vegan Pissaladiere Pizza! 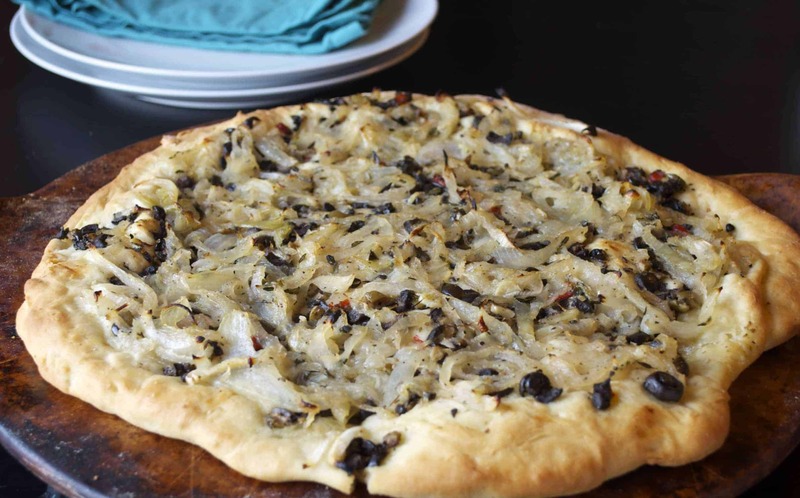 A cheeseless pizza topped with olive tapenade, capers, and caramelized onions. Heat the olive oil in a large sauté pan, add the onions, thyme, pinch salt, pepper and garlic cloves oven low-heat for 60 minutes until onions are reduced and sweat. Don’t be tempted to increase the heat, you don’t want them to brown. When the dough is ready, knead it a few times until it’s smooth and elastic. Roll with a rolling pin, and stretch it to a large circle and place on a pizza stone. Spread the olive tapanade on top, followed by the onions, and sprinkle on the capers. Place in a 450ºF oven and cook 15 minutes until lightly browned. Slice, eat, enjoy! … We’ll always have Paris.